We're just getting started...Keep checking in for updates as we grow and build our community! Become a contributor! We need YOUR Progressive Voice! Become a contributor! 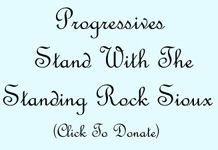 The easiest way is to join us on our Progressives' Chat Forum. Find the archives here. All you need to join in is a Disqus account because we use the Disqus commenting system. 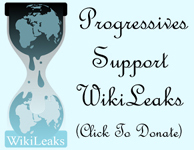 You can help us with our Progressives' News Summary. Find the archives here. Or, you can become an author and write articles! Check out Our Writing Team! ...It's also possible you can become a moderator, or an editor! Other than commenting, contributing only requires that you send in email! We have an automation system that helps you quickly and efficiently - and almost instantly! - get your submission up on the web! Once you sign up with us, we'll tell our automation system about you, so it will allow you to do all these things. And, you'll just send emails to get it done! Send us an email to get started!